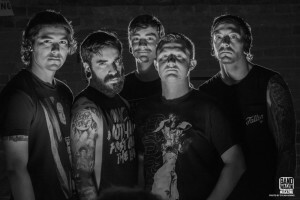 The Panoramic was formed in the winter of 2012 by drummer Jason Sykes, Guitarist AJ Garner, and Bassist Josh Barratt, later adding Stefan Lopez to the mix. The band’s new LP Sacred Anatomy is due to drop on 2.26.16 on BandWagon Records. The LP is extremely diverse, ranging from huge melodic chord progressions and guitar solos explored with the band’s newer material to chaotic and unrelenting heaviness that was employed on the band’s earlier work.